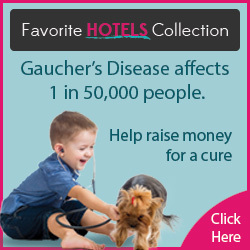 Survey givers are not associated with Gaucher's Chat. They reached out requesting we supply our members the opportunity to participate in the surveys if they desired. You are under no obligation to participate. Important! If you do the following survey, please tell them Annemarie DellaGuardia referred you. As stated below, I will weceive a referral bonus, and you will to if you refer people. It took about a half hour and they were very friendly. I thought you might be interested in this opportunity. My name is David Mechlin and my company is Video Chat Network (https://videochatnetwork.net/). We are an independent research firm engaged in a project for a pharmaceutical marketing firm who works with manufacturers who are highly interested how their patients understand and use their treatments for best results. We would like to speak with adult patients or the caregivers of children with Type I Gaucher disease who currently taking enzyme replacement therapy (ERT). They may be taking either Cerezyme, Elelyso, Vpriv or Cerdelga (US only).